At animal shelters nationwide, there are a disproportionate number of pit bulls. Their high abandonment rate -- and the subsequent hesitation to adopt them -- can largely be attributed to stereotypes regarding their innate aggressiveness. But the vicious traits associated with pit bulls are bred, not born. They have the capacity to be as sweet-natured, docile and trusting as any other type of dog, and for proof of this, one only needs to attend a Reno Aces' game. Princess will be happy to dispel your assumptions. 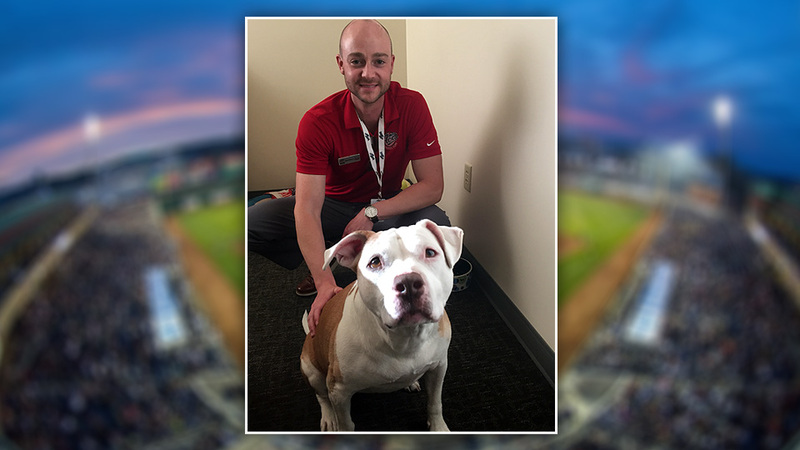 The 10-year-old pit bull terrier was adopted by Aces executive vice president Andrew Daugherty prior to the 2015 season. Since then she has become a constant presence at Reno's Greater Nevada Field. You might find her mingling with fans on the concourse, barking happily whenever the "sales bell" rings in the team's front office, searching for snacks in the suites, or perhaps most likely, napping on the floor of Daugherty's office directly beneath a painting of herself. The Aces became aware of Princess via their partnership with the Nevada Humane Society, in which adoptable dogs are brought to the ballpark and showcased during ballgames. "We've had such a great success rate at getting dogs adopted at the game," said Daugherty, speaking alongside Aces marketing director Audrey Hill prior to a ballgame on Aug. 8. "So [the Humane Society] told us, 'Hey, we've got Princess, who we've had for a long time. Do you know anyone who would want her?'" The Aces' front office quickly fell in love with Princess, who possesses a gentle and effusively affectionate disposition. The team agreed to foster her at the ballpark until she found her "forever home." "[Team president] Eric [Edelstein] had the idea of fostering, because he would do that when he was with the [Northwest Arkansas] Naturals," said Daugherty. "Arkansas has kill shelters, but fortunately in Nevada, they're all no-kill. So we thought, we should do that here. Princess was the first one and now she just stayed." Despite Hill's dogged social media efforts, no one stepped up to adopt Princess. "It's because she's an older pit bull," said Daugherty. "I don't get it. Because I could be robbed blind and she'd lick the robber on his way out. That's Princess." In February 2015, Daugherty, who had never owned a dog before, took the plunge and adopted Princess. Taking care of her is a team effort, however. "Audrey and I were sharing an office at the time, and she was talking me into it," said Daugherty. 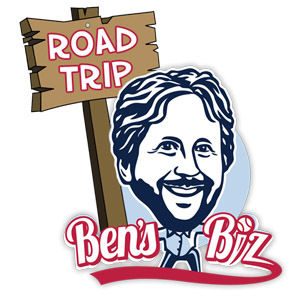 "Because as much as I travel and baseball hours, there's no way. But when I'm gone for meetings, Audrey takes her. And we've got a few other people, a whole pecking order of dogsitters." "I'm definitely still Mom," added Hill, who took the lead in fostering Princess. "She probably prefers me more than him. I'll get stopped in the grocery store. People will ask me about Princess all the time." She's definitely become something of a local celebrity, to the extent that the Aces offer Princess plush dolls in the team store (with five dollars from each sale going to the Nevada Humane Society). "She can get a little anxious if there are a lot of people," said Daugherty. "But the fans do know her and she'll go down [to the concourse] when it's quiet. Like, 'Oh, there's Princess.' She'll kind of do her thing. We've got so many staff now that even our full-time security on the other side of the ballpark, they'll keep treats. So she'll run down the tunnel and go visit everyone. She'll go into the downstairs ticket office because they've got carrots in the fridge." Daugherty hopes that Princess' example will compel other potential dog owners to lay their fears aside and consider adopting a pit bull. "I really hope so," he said. "One thing that's cool about Reno, that I've learned after being here for three years, is that it's a very pro-dog market. They have dog parks everywhere, and for the most part, people are understanding." "The Humane Society has a display of her, as you walk in at their front desk," said Hill. "So that's helped as well, people recognizing where she came from and what kind of dog she is. She's not going to do anything to hurt you. She's just going to lick your face."